In 2015 Sadmon Projects and Consulting was awarded a three-year, R352 million communications contract by the Department of Health. Spotlight analysis of reports Sadmon submitted to the department (obtained through a Promotion of Access to Information Act request) paint a worrying picture of multiple delays and constant miscommunication – all while the bills for the public purse keep mounting up. July 2017 was a whopper of a month for Sadmon with an invoice of close on R17-million. One of the main activities relates to what now seems like the third launch of Phila, a wellness campaign run for the Department of Health by Sadmon. The campaign was designed to generate “motivational health messages through innovative mass media communication”. The messages had to address knowing your health status, increasing physical activity, eating healthier food, adhering to treatment and good sexual health and to encouraging a safe, violence-free society. The campaign had been a stop-and-start affair since Sadmon’s appointment and the conceptualisation of Phila as the overarching “master” campaign – with smaller sub-brands like She Conquers and Max Condoms. Phila is the Nguni name for “Door to Health or Life”. In June 2016 the Phila campaign made its first outing at an event in Pietermaritzburg where it was “launched” with Max scented condoms, but then the momentum was lost. The main problem was the reported on-going delays with approvals from the Department on what seems to have been every element of the campaign: the media schedule, the billboard and taxi branding, the radio scripts, the digital platform and the permission letters to “wrap” the NDoH building. In August 2016, Sadmon states that they are still awaiting sign-off on the “Phila toolkit”. By September the Minister complains that the campaign is not yet up and running – (although one of the issues around a launch date was his availability). By the end of September, the Department has still not signed off budgets or any of the creative elements developed by Sadmon, which by now included an internal staff campaign. The “wrapping” of the Civitas building in Phila branding was finally done at the end of November. In December 2016 it is reported that further PR opportunities to publicise Phila were “missed” as interviewees “were not confirmed on time”. The prepaid interview schedule was used for the Breastfeeding conference instead. When asked about the delays with Phila, the National Department of Health defends Sadmon, stating that “the delay was due to departmental scheduling and other factors that were beyond Sadmon’s control as a service provider”. It is against this background that in July 2017 – ten months after it was “officially” launched – a new attempt is made to get Phila out of the doldrums. An initial media budget of R40-million is approved, and a media advertising plan is signed off by the Department. The concept of “Phila Thursday” is adopted. It is a play on the “Phuza Thursday” phenomenon. Sadmon says that “instead of buying junk food for lunch, people were encouraged to pack healthy meals from home, and instead of having takeaways for supper, they were urged to prepare homemade meals with plenty of vegetables for their families. These behavioural changes are aimed at starting a “health revolution”. 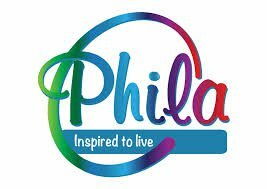 The plan is kicked off by introducing Phila Thursday in the press with a series of “call to action” health messages in five newspapers during week one, and seven papers in week two. Soon the lack of coordination between Sadmon and the Department rears its head again. The end-of-month deliverable report “notes with concern that the Phila Thursday concept is no longer following the initial design. The idea was to feature short, punchy messages to capture people’s attention and introduce them to the main campaign brand – Phila. These messages were to have been aligned with the digital platform to create synergy. What however transpires is that the strip ads were repurposed for longer format public health messages. As these were at odds with the output on social media platforms, Sadmon says it “undermined attempts at establishing the Phila brand”. Three Public Service Announcements featuring the Minister “calling on all South Africans to embrace and rally behind the campaign” were however duly recorded. So, with the handsome July invoice of R17 million in mind, let us recap. In the basket, we now have an updated Phila strategy document, twelve newspaper strip ads, three different Public Service Announcements by the Minister, a generic radio ad, and a set of implementation plans (media schedules) for the coming months. Sadmon’s PR team also “spent most of the month attending prelim planning meetings and produced strategic plans”. The key objective was to develop “practical, yet impactful activities” for the following campaigns: Cancer policies, She Conquers Mpumalanga activation, HTS, TB screening and NCDs campaigns, Rotary Family Health Day campaign, Phila Thursday, VMMC and TB Prevalence Survey. A strategic plan and “media launch treatments” for Breast and Cervical Cancer policies. A fact sheet, an Outside Broadcast schedule, media interview motivations and media invitations for a “She Conquers” event scheduled for a stadium in Mpumalanga. Work on developing a creative approach and PR for Voluntary Medical Male Circumcision. A curious little footnote to the July deliverables roster is the Phila “Safer Holidays” booklet. Auto Reach, a company that does turnkey “in-car activations,” was engaged to distribute the booklet at tollgates. It is not clear why this even mentioned as a deliverable in this month’s report since the Safer Holiday campaign had taken place in April/May, but even stranger is the fact that while the job was outsourced, Sadmon bill 42 hours for this task. As usual, the management of the Red Ribbon Resource Warehouse is listed. The report highlights a “shortage of condoms and IEC materials” and the call register for July reflects a paltry nine telephone calls and 17 orders. The latter includes six branding events. Since the Department of Health refuses to provide us with the invoices submitted by Sadmon (even though we requested this in a PAIA request), it is not possible for us to tell how the R17 million invoice was justified. The above represents our best reconstruction based on the monthly reports of work conducted. This is part 4 of a five-part series investigating the Department of Health’s R352 million contract with Sadmon. Previous PostPrevious The SADMON Files 3: Red Ribbon or red flag?